Newspaper Rock: Winged monkeys = Indians? Winged MonkeysAccording to some writers, the Winged Monkeys of Oz represent Native Americans in the West in the late 1800s. Baum himself had clear attitudes toward American Indians and some of his earlier writings about Indians are very similar to his descriptions of the Winged Monkeys found in Oz. 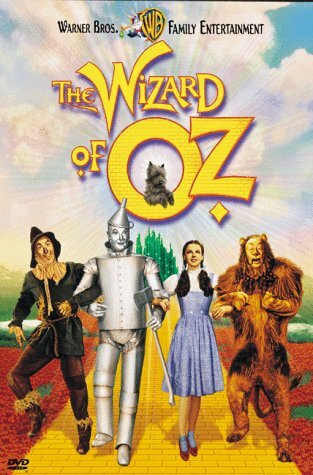 These selections included on this page are all from Ritter’s 1997 article about Oz. By Thomas St. JohnThe Winged Monkeys are the Irish Baum’s satire on the old Northwest Mounted Police, who were modelled on the Irish Constabulary. The scarlet tunic of the Mounties, and the distinctive “pillbox” forage cap with the narrow visor and strap are seen clearly in the color plate in the 1900 first edition of “The Wonderful Wizard of Oz”. Villagers across the Dakota territory heartily despised these British police, especially after 1877, when Sitting Bull retreated across the border and into their protection after killing Custer.And:The Wicked Witch of the West is illustrated in the 1900 first edition as a pickaninny, with beribboned, braided pigtails extended comically. Baum repeats the word “brown” in describing her. But this symbol’s real historic depth lies in the earlier Puritans’ confounding of European witches with the equally heathen American Indians. The orphan Dorothy’s violent removal from Kansas civilization, her search for secret and magical cures for her friends, her capture, enslavement to an evil figure–and the killing of this figure that is forced on her–all these themes Baum takes from the already two hundred year old tradition of the Indian captivity narrative which stoked the fires of Indian-hating and its hope of “redemption through violence.”Comment: For more on the subject, see The Indian-Oz Connection.